Believe it not, we’re almost at the midpoint of the year. So far, it has been a wild ride. We’ve seen plenty of triple-digit rallies as well as triple-digit dives. Bond prices have dropped as rates rise and the U.S. economy, as well as the global economy, looks like recovery is gaining traction, if not momentum. Due to the big corporate tax break in December, earnings have been a bit distorted for the first couple quarters, as companies have poured a lot of the money into share buybacks, which artificially boost earnings. But that is about as much cloud as the silver lining for this market has. Granted, for all the sound a fury we’ve seen, it hasn’t signified much yet. The Dow Jones Industrial Average is up 1.8% year to date. The S&P 500 is up 3.2%. The Nasdaq has been the big winner, up an encouraging 10.2% so far this year. Now is a good time to get your portfolio ready for what’s coming next. These seven A-rated stocks to buy for the second half of 2018 should be at the top of that list. 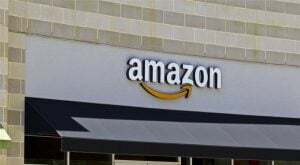 Amazon.com, Inc. (NASDAQ:AMZN) has an enormous retail e-commerce business. It is the biggest cloud provider in the world. It operates a high-end grocery store chain. It makes AI chatbots. It is in the entertainment business. And just one of these — the ecommerce business — is so dependent upon complex logistics, it seems outrageous that it can do so many other things as well. But it does. Keeping all these balls in the air seems like a recipe for disaster, but somehow, AMZN nails it almost every time. Certainly, in its recent flurry of launches the toughest one has been assimilating Whole Foods into its broader mix. A big help is Amazon’s cloud business Amazon Web Services (AWS). It has huge margins and deep pockets to fund these other ventures until they flip, flop or fly. Now, there’s talk of AMZN building out its apparel business. At this point, AMZN has a very limited line of clothing. But that is expected to change. Currently, it owns shoe retailer Zappos, but don’t be surprised if AMZN announces it’s buying some new, hip clothing companies soon, or simply hires top-notch talent to build its own clothing division. It’s also making moves to start its own logistics company. There’s still plenty to like and look forward to here. 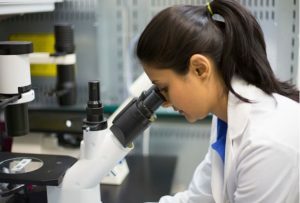 Abiomed, Inc. (NASDAQ:ABMD) is the opposite of multi-faceted firms like AMZN. It makes a handful of products with one very specific purpose — to keep hearts pumping. And this focus is working. ABMD stock is up almost 120% year to date. Through all the ups and downs the market has been this year, ABMD’s price chart looks like a calm walk to the stars. Part of the reason is, the stock just entered the S&P 500. That is a big deal for any stock because it means every index mutual fund that tracks the S&P 500 has to buy shares in ABMD. It also puts it in the big leagues in hedge fund portfolios and across Wall Street. Institutional investors run the markets, and ABMD has their attention now. It has funded more than 30,000 tech startups, and that is where it has its focus. This isn’t a traditional bank, but very much a product of its environment. SIVB stock took off this year posting a respectable 38% year to date return. A good piece of that came when it reported very impressive Q1 numbers in late April. The point is, SVB Financial is just starting to make its move. And as the tech opportunity grows, SIVB will be there. It has offices around the U.S. tech hubs as well as overseas. This business model may reap some significant rewards moving forward. 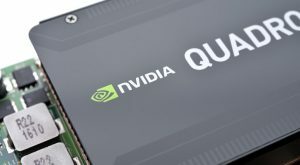 Nvidia Corporation (NASDAQ:NVDA) is one of the reasons the Nasdaq has had such a solid six months. The stock is up over 35% year to date. The fact is, there’s a sea change going on in the semiconductor sector of the tech industry. The transition from desktop to mobile is changing the devices we use as well as how they can be used. This transforms the chip industry. Another piece of that change is a shift in the cyclical nature of memory chips and graphics chips. Memory and graphics are now in high demand for smaller, more energy-efficient devices as well as products that are becoming “smart,” like refrigerators and cars. That means the typical demand/supply cycle has been extended and demand continues to rise. One key beneficiary of this sea change is NVDA stock. Inogen Inc (NASDAQ:INGN) makes portable oxygen concentrators to deliver supplemental oxygen delivery to patients in need of support. This is a very compelling industry since the baby boomers are now entering their “golden years” and this type of equipment to relieve chronic respiratory conditions is something that the government (Medicare/Medicaid), healthcare companies and healthcare insurers all like because it reduces care costs and keeps patients from using resources unnecessarily. In recent days, the stock has been under pressure from infamous short seller Citron Research and its restatement of its Q4 earnings due to some accounting inconsistencies. As usual, Citron has made a mountain out of a molehill since it has a short position against INGN. But given the stock’s 53% run year to date, there are plenty of analysts that like what they in INGN, now and for the future. Landstar System, Inc. (NASDAQ:LSTR) is a transportation and logistics company that does everything from truckload and less-than-truckload hauling to shipping and intermodal logistics and tracking. There are two compelling points here: First, LSTR uses independent contractors to haul much of its cargo by truck. That gives it significant operational flexibility and can price its work more dynamically than if it had significant fixed-cost employees. 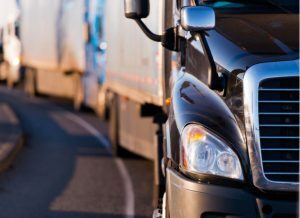 Second, given the rise in e-commerce, getting packages moved around the U.S. and beyond is growing significantly and trucks are the way much of it is handled. Rail can get trailers part of the way, but the U.S. rail infrastructure is just a shadow of what it once was, so trucks become crucial. LSTR is up about 10% year to date, but given its corporate structure and the ecommerce megatrend, this is just the beginning. Interactive Brokers Group Inc (NASDAQ:IBKR) is an online brokerage firm. Initially it was a boutique and innovative firm that started in 1977. It was the first to use handheld computers for trading in 1983 and was using algorithmic trading by 1987, years before most firms adopted these techniques. Today, it’s the largest U.S. brokerage firm by daily average revenue trades and is still run by its founder, Thomas Peterffy. 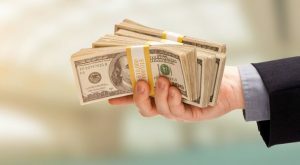 It continues to specialize in larger trades for individual investors and institutions as well as having a significant foreign exchange division. Because it started with more of a corporate clientele, the services it offers individuals are compelling to serious individual traders, like a lower commission structure, buying foreign stocks off local exchanges in local currency, etc. IBKR is up nearly 21% year to date and has built a very respectable niche that will keep its business growing in years to come. Article printed from InvestorPlace Media, https://investorplace.com/2018/06/7-a-rated-stocks-to-buy-for-the-second-half-of-2018/.